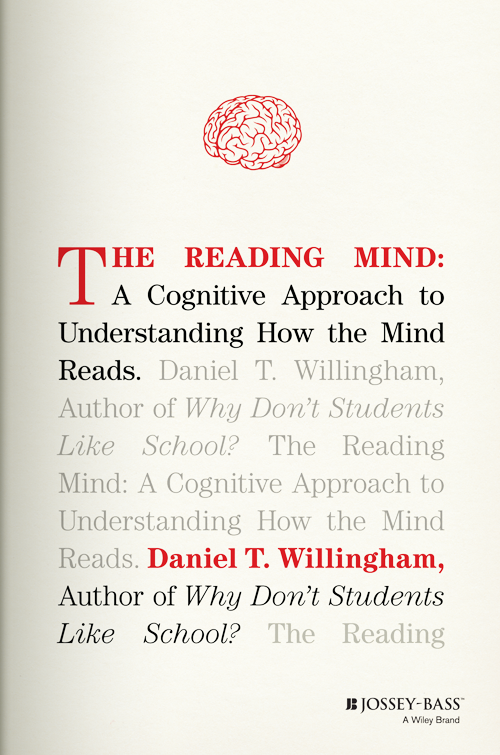 Excerpted from "The Reading Mind: A Cognitive Approach to Understanding How the Mind Reads" by Daniel T. Willingham. The interpretation of the study rests on how kids think about their own behavior. The rewarded kids likely thought, “I drew with the markers because I was offered a reward to do so. Now here are the markers, but no reward. So why would I draw with them?” There have been many studies of rewards in academic contexts, and they often backfire in this way. We can imagine that rewarding kids for reading could work in certain circumstances. What if the child has such a positive experience while reading that it overwhelms his thinking that he’s only reading for the sake of the reward? In other words, the child thinks, “Gosh, I only started this book to get the ice cream I was promised, but actually it’s awesome. Mom was a sucker to offer me a reward!” This scenario is, of course, the fond hope of the adult who offers a reward for reading, but let’s be honest, it’s probably rare. If you’re thinking of rewarding a child to read, that is surely a child who has not been reading recently, and whose attitude toward reading is pretty set. A massive turnaround is unlikely. If not rewards, then what? The expectancy-value model suggests some strategies, most of them pretty intuitive. The value will be higher if the book is on a topic the child already loves, or if it’s a book that a lot of his peers have read, or if it concerns a topic of practical utility to the child. The expectation of successful reading will be higher if it’s at the right reading level, if it includes a lot of pictures (as a graphic novel does), if the chapters are short, or if the child already knows the story (as in a novelization of a movie she’s seen). So the expectancy-value model suggests that we boost the book’s value to the child, or her expectation of successful reading. What else might we try? 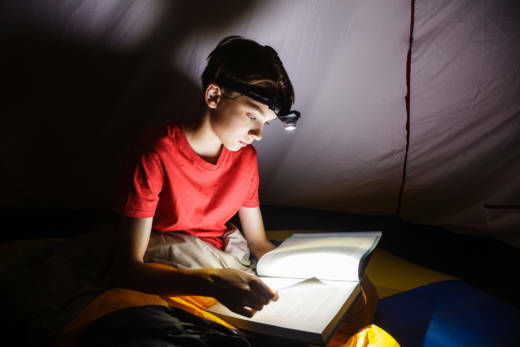 That makes our job sound terribly difficult—“good” is no longer enough; now we’re shooting for “best.” But bearing in mind that reading is a choice prompts some other ideas to get kids reading. One thing we can do is make reading an easy choice to make. All of us are on autopilot more often than we like to believe; we make decisions not by carefully weighing out options, but by doing what’s expedient. Expedient often means obvious, easy. Things that are right in front of us and easy to access are more likely to be selected. For example, researchers were able to make food items at a salad bar more or less likely to be selected by moving them closer or farther from the diner—but the necessary change in distance was just 10 inches. A teacher once told me a remarkable story about the power of easy access. He had mentioned a book—Jared Diamond’s Guns, Germs, and Steel—in the course of a high school class discussion about income inequity across nations. He enthusiastically recommended it, and mentioned that he knew the school library had two copies. There were a few murmurs of interest. The next day he checked the library and found both copies still on the shelves. He checked them out, brought them to class, and asked if anyone was interested in reading this book he had mentioned. Five students raised their hands, and he gave the copies to the two most enthusiastic students. So five students were ready to give the book a try if someone put it in their hands, but going to the school library to find it seemed like too much trouble. The library, the teacher told me, was a 30-second walk from his classroom. That leisure reading represents a choice has another implication. If a child must like reading most from available alternatives, parents can control the other alternatives; that is, make reading the most appealing choice around by restricting access to other activities that the parents think are less enriching. A recent survey showed that 30% of teens say they enjoy reading “a lot,” but they also say they enjoy other media activities more: watching videos, engaging with friends on social media, gaming. Most kids will choose screens—“screens” generically referring to video content, games, or computer applications—over a book, even a readily available one. For reasons I don’t understand, moving images on a screen entrance us. We stare at them as we stare at flames or ocean waves. I’ve never met a parent who said, “Television? Oh yeah, she watched it a couple of times, but I just couldn’t get her interested.” An obvious implication is that if these other activities were unavailable, kids might read more. A 2016 survey of parents reported that 55% say they limit teens’ time online, but they also say that they are less concerned with the amount of time spent with media, and more concerned with content. Content does matter, of course, but so does volume. And volume is high. Very young children—those in their first two years of life—spend twice as much time watching television and videos as they do being read to (53 vs. 23 minutes per day). Slightly older children (ages five to eight years) watch more television than younger kids do (about two hours per day) although they read or are read to about the same amount of time (33 minutes per day). At this age, children start to use other digital devices: 90% have used a computer at least once, and 22% use a computer daily. For console video games, the figures are only slightly lower. The use of these other devices, along with greater television viewing, means that the average five- to eight-year-old is exposed to about 3 hours and forty-five minutes of various media each day. By the time kids are in their late teens, average media exposure approaches 11 hours per day. My guess is that very few parents are happy that their teens spend so much time with digital devices. I’m also guessing those parents didn’t see it coming when their kids were toddlers. But as any parent knows, it’s easier to limit something at an early age than to wait until it’s a problem and then try to change course. Obviously some video content is more enriching than others—Sesame Street is not equivalent to Tom and Jerry cartoons—but if children are to choose reading, controlling the content of screen time won’t do it. The amount must be controlled as well. But again, that alone probably won’t be enough. It must be coupled with ensuring ready access to reading material that kids will value. 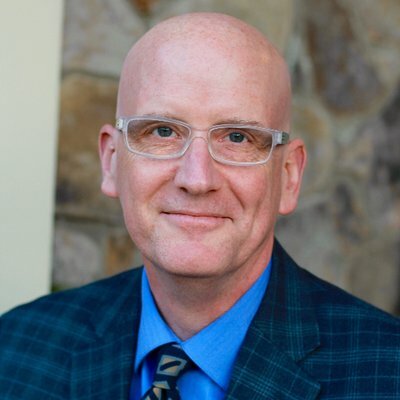 DANIEL T. WILLINGHAM, PHD, is professor of psychology at the University of Virginia. He is the author of "Why Don't Students Like School? ", "When Can You Trust the Experts? How to Tell Good Science from Bad in Education" and "Raising Kids Who Read." Willingham writes a regular column called Ask the Cognitive Scientist for the American Federation of Teachers' magazine, American Educator. You can follow him on Twitter at @DTWillingham.